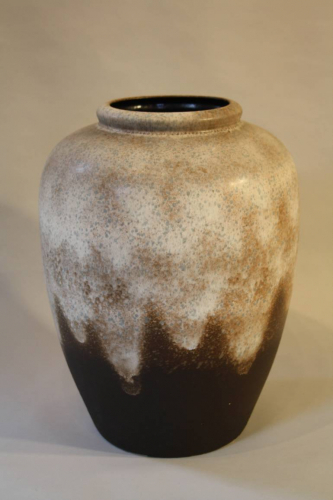 Lovely muted colours of speckled brown and blue descending to a dark brown base. A wonderful shape and size. West Germany c1970.